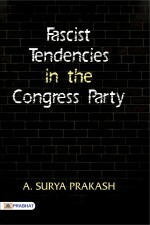 The Congress Party has often spoken about fascism and fascist tendencies. The leaders of this party have always accused other leaders of fascist tendencies. But the reality is entirely different. The three chapters in this book provide a chilling account of the contempt this party has for democratic traditions and its dalliance with dictatorship. This is an eye-opener for most Indian citizens, who are unaware of the incidents quoted in this book. All in all, this is an exposé to alert citizens and to make them eternally vigilant so that the core values in the Indian Constitution and the democratic traditions remain intact.